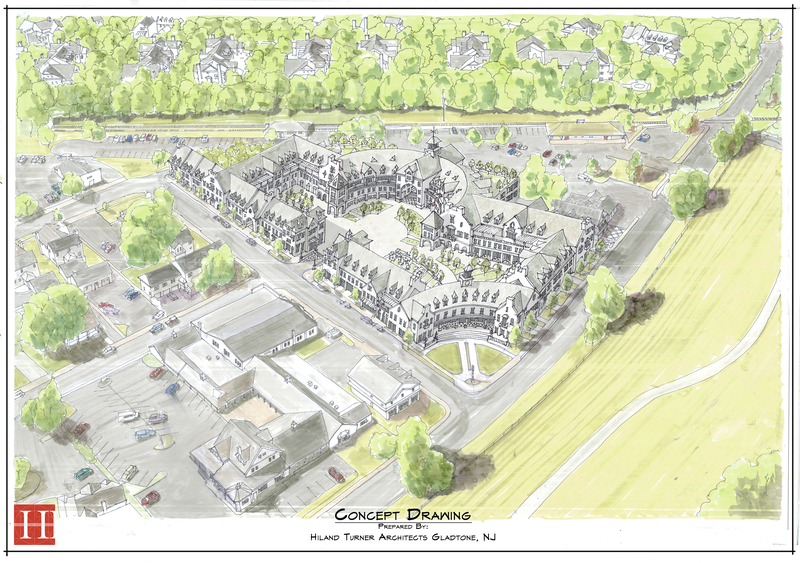 Dumont Center - Bosenberg & Co.
Dumont Center was proposed to the Borough of Far Hills as an adaptive reuse of the former Ludlow Lumber Yard. 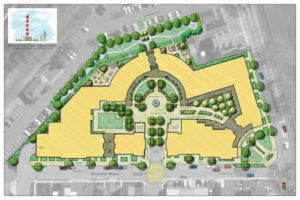 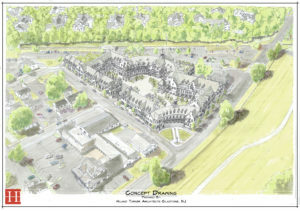 The proposal included a mixed use development located within the village core and adjacent to the Far Hills Train Station. Its location provided a convenient walking distance from the surrounding adjacent residential neighborhood and close proximity to mass transit. Onsite parking would be located below grade, eliminating the need for additional impervious coverage and maximizing the usage of the property for more beneficial uses. 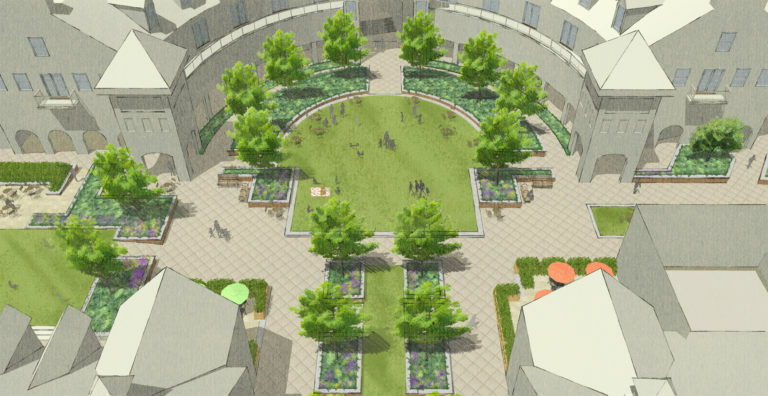 The project is defined by the building masses, which create the interior green open spaces. 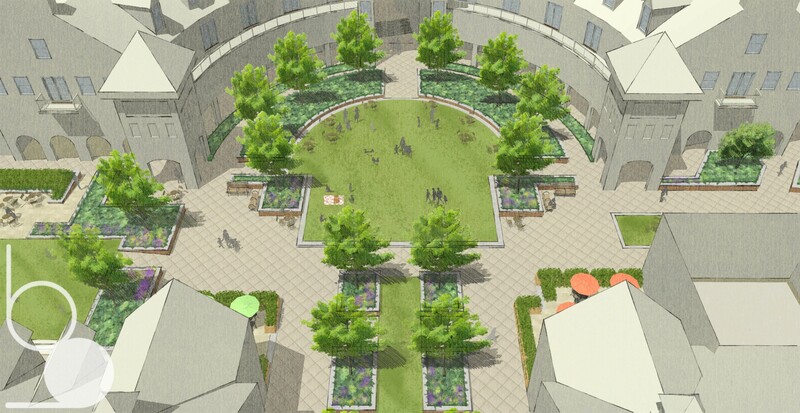 These open spaces help to not only reduce the heat island effect of the site but also to provide a space for residents, including those in the surrounding Village of Far Hills, to relax, enjoy and celebrate life. 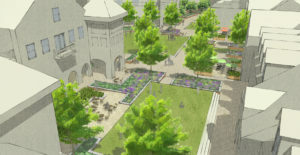 A proposed large lawn area is surrounded by a seat wall and shade trees, creating an area that is available for a host of outdoor activities.